The Volatility Index is spiking as investors fear a trade war with China. The VIX is up more than 20% Thursday, at around 22. 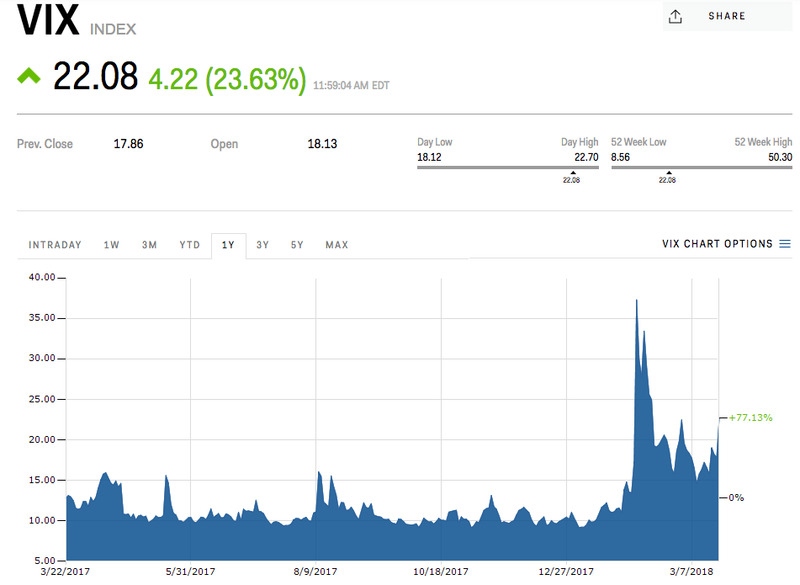 The CBOE Volatility Index is soaring Thursday, up more than 20% to a reading of 22. The spike in volatility comes as investors fear a trade war with China, with President Trump expected to announce tariffs on Thursday. China’s foreign ministry spokeswoman previously told reporters that President Trump’s trade tariffs are “detrimental to both sides.” The Dow plummeted almost 500 points on the news.